Below you can view all the homes for sale in the Horizon Punta Del Este subdivision located in Henderson Nevada. Listings in Horizon Punta Del Este are updated daily from data we receive from the Las Vegas multiple listing service. To learn more about any of these homes or to receive custom notifications when a new property is listed for sale in Horizon Punta Del Este, give us a call at 702-323-5903. Amazing backyard with sparkling pool/spa and grass area! MLS#2084574. eXp Realty. 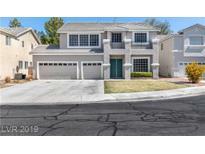 This home has 3 bedrooms/3 baths/loft/strip view off the master balcony/new carpet/fresh paint/new built in shelves in the den/ &2 car garage with an addtl 3rd bay for either storage, or small recreational vehicles. MLS#2083534. 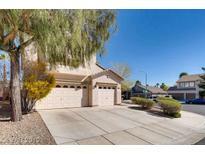 Keller Williams Realty SW.
Close to shopping, restaurants and recreation. MLS#2081751. Signature Real Estate Group. On cul­-de-­sac lot in beautiful Granite Hills, directly across from Coronado! This is IT!! ! MLS#2072413. Keller Williams VIP.